Sculptor Roberto Benavidez (b. 1973, Beeville, TX) makes elaborate, finely crafted piñatas, many of which reference art historically significant works. One of Benavidez’s ongoing series, which he started in 2013, recreates the fantastical imagery found in Hieronymus Bosch’s The Garden of Earthly Delights, 1490-1500. 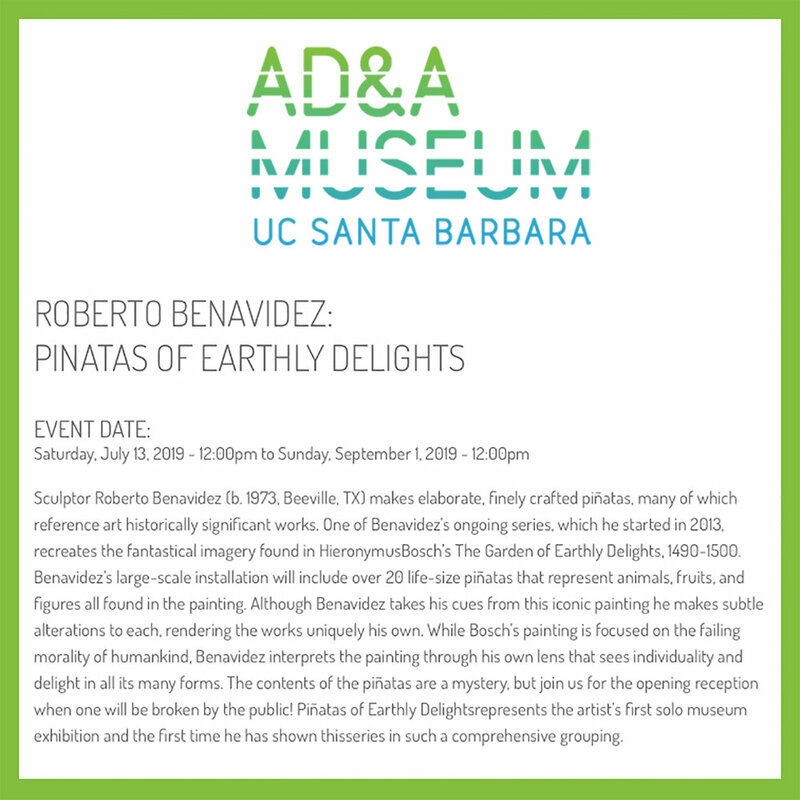 Benavidez’s large-scale installation will include over 20 life-size piñatas that represent animals, fruits, and figures all found in the painting. Although Benavidez takes his cues from this iconic painting he makes subtle alterations to each, rendering the works uniquely his own. While Bosch’s painting is focused on the failing morality of humankind, Benavidez interprets the painting through his own lens that sees individuality and delight in all its many forms. The contents of the piñatas are a mystery, but join us for the opening reception on Friday, July 26th, when one will be broken by the public! 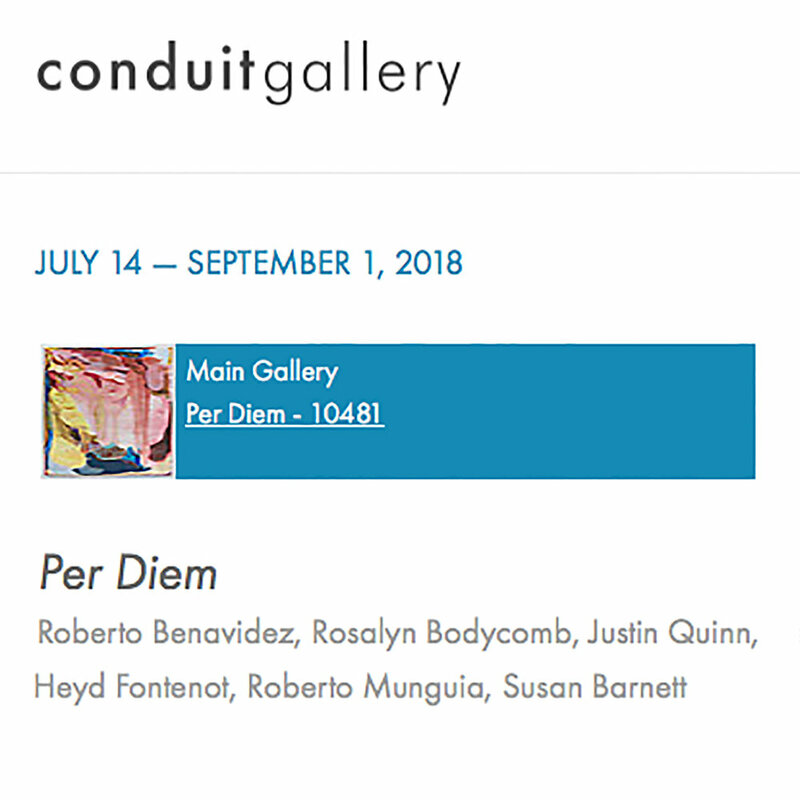 Piñatas of Earthly Delights represents the artist’s first solo museum exhibition and the first time he has shown this series in such a comprehensive grouping.